Why is it important to have a Disability Policy and Procedure? In order to ensure your business complies with the requirements if the Disability Discrimination Act 1995 it is critical that you have a Disability Policy and Procedure in place that clearly details the ways in which your business deals with issues connected with the employment of people who suffer from a disability, or who have had a disability in the past. This Disability Policy and Procedure applies to any employee or person acting on behalf of the Company who is concerned with the employment or engagement, or potential employment or engagement, management or development of disabled persons and all job applicants. 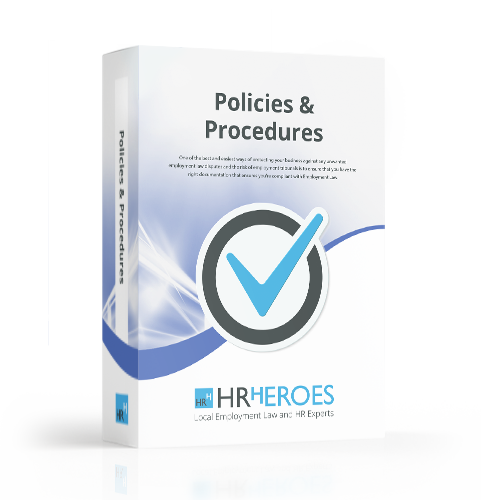 Our Disability Policy and Procedure will provide you with an easy to follow process that will ensure your business is compliant with the Disability Discrimination Act 1995.